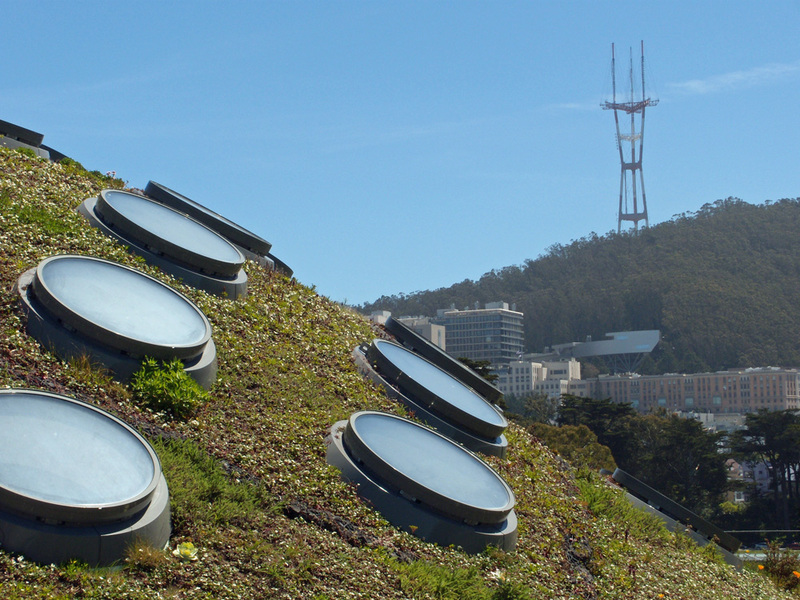 Sunlight filters down from the portholes on the Academy roof through aquatic plants living in 200,000 gallons of water to the floor of the Steinhart Aquarium 25 feet below the California Academy of Science main floor. 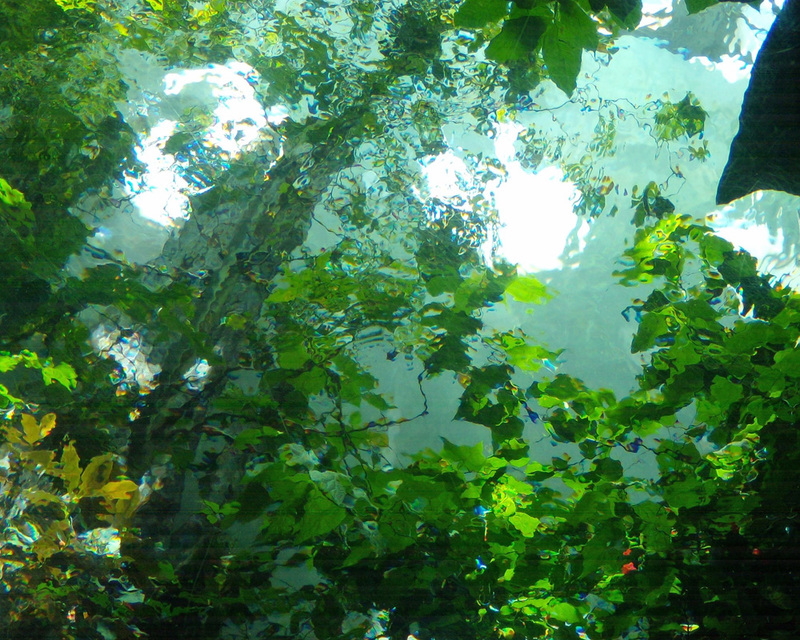 Above the aquarium is the 90 foot diameter glass dome that holds the 4-story rainforest. Whatever the temperature outside, it is always 82-85 degrees ( and 75% humidity) inside the dome. Visitors follow a spiral walkway to the top of the rainforest where they look down on the forest canopy, but today I am looking up. 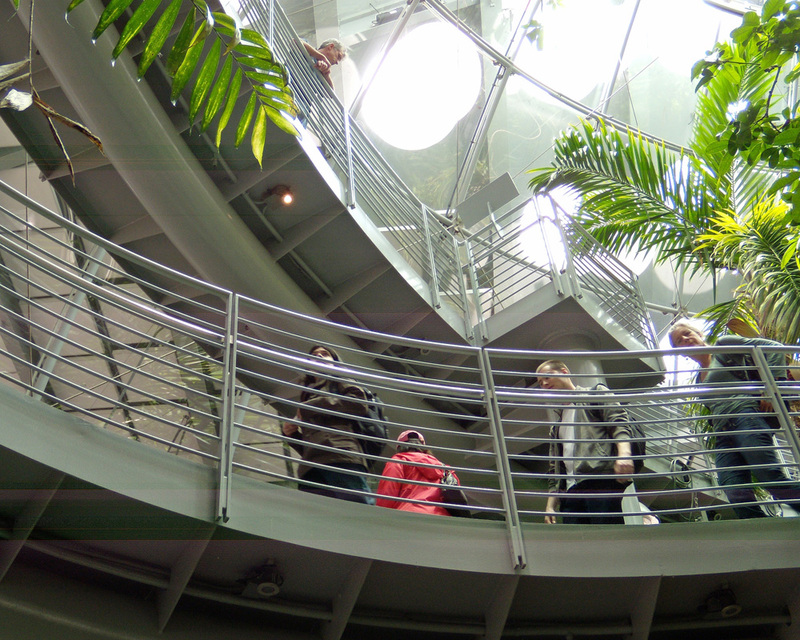 Leaving the rainforest, a flight of stairs leads to the Living Roof of the Academy, and where the portholes gather in the light of the California sun. 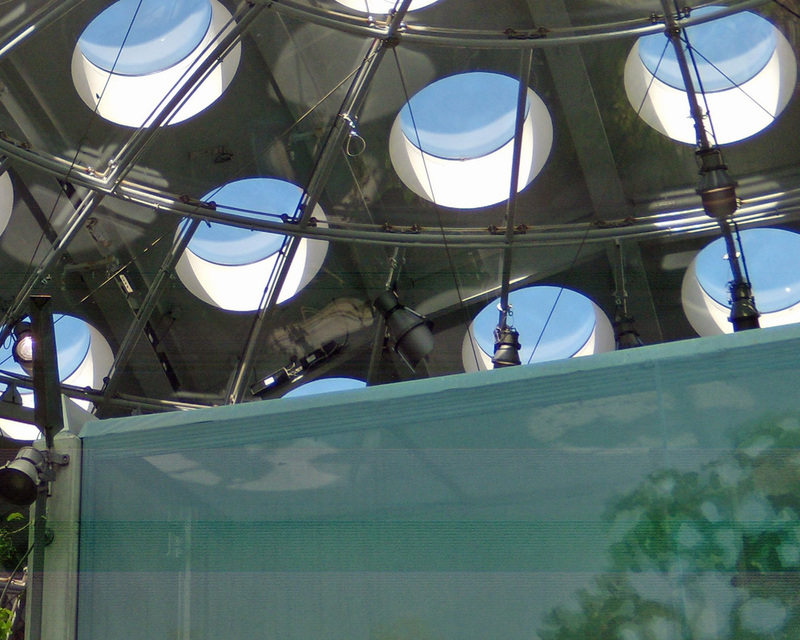 The portholes gather in the bright spring sunlight–Living Roof, California Academy of Science. In the background is another San Francisco landmark: Sutro Tower. This entry was posted in Places, San Francisco and tagged California Academy of Science, Golden Gate Park, Photography, Photography Challenge, Postaday, San Francisco, steinhart aquarium, Sutro Tower by carto. Bookmark the permalink.